Pro-Line Racing’s New Baja 5B/5T Heavy Duty Beadlock Rings « Big Squid RC – RC Car and Truck News, Reviews, Videos, and More! With recessed screws, the new Pro-Line Racing Heavy Duty 5B/5T Beadlock Rings will protect your tires’ sidewalls while offering a clean, smooth appearance. 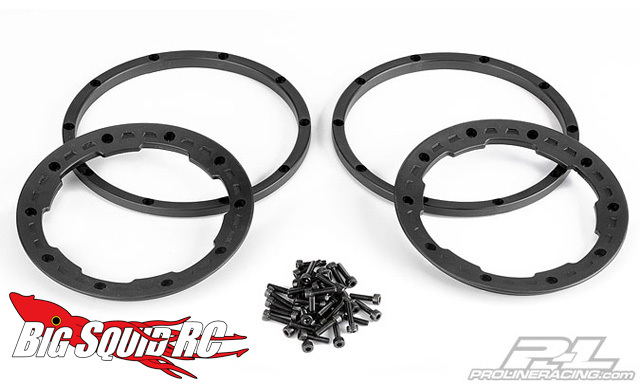 These durable nylon rings are sure to stand up to the bashing that we dish out to our HPI Bajas. You can visit the Pro-Line Racing site here.